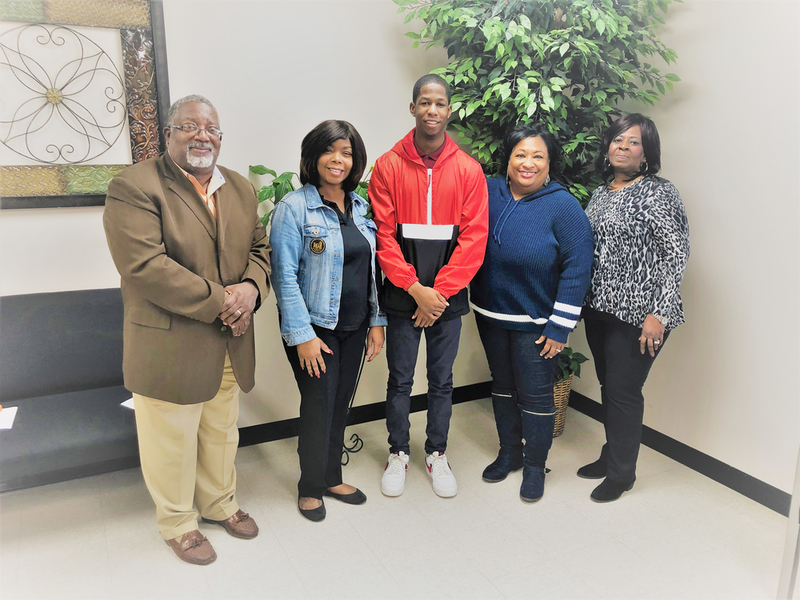 Congratulations to Keyvionte Brooks a senior at Dollarway High who was recently awarded the UAPB University Scholarship, which is valued at over $50,000. We are so proud of you Keyvionte! Pictured L to R: DHS Counselor, Mr. Freddie Harris, UAPB Representative, Ms. Amanda Kirklin, Keyvionte Brooks, DHS College & Career Coach Marla Jones and DHS Principal, Mrs. Yolanda Prim.